When Spyros “Peter” Goudas came to Canada from Greece in 1967 he had no money, spoke no English and knew not a soul. But he worked hard and earned enough to buy a small packaging plant, eventually growing the new company, Mr. Goudas, into one of Canada’s largest independent food companies, the label for which will be familiar to many, gracing a number of international products ranging from rice to hot sauce to beans. A Canadian based food tycoon namely; Spyros Peter Goudas who owned and operated the popular food brand “Mr. Goudas” has been on a quest to secure legal representation to assist with several legal matters, to no avail. The untimely court-appointed Receivership of his company has resulted in a ‘Rags to Riches to Rags’ storyline in the heart of Canada’s food industry, to millions of consumers, suppliers and as per letters of appreciation. The landscape of Canada’s food industry has taken a severe blow and competition in the ethnic food market is at an all-time high in Canada’s food-chain supply. Mimi Karampatos was born in Sparta, Greece in 1932. 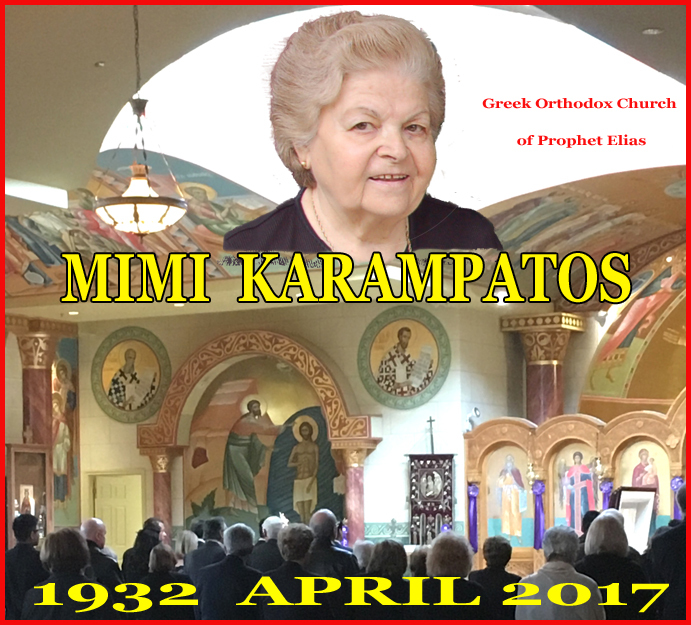 Mr Spyros Peter Goudas had the pleasure of meeting Mimi in the early 80's while she was involved as a volunteer at the Prophet Elias, Greek Orthodox Church located in Mississauga, Ontario.